The wrapper is light brown and has a couple of slightly raised veins present. The seams are smooth but slightly visible due to some color variations on the wrapper. The head is finished off with a well applied quadruple cap. The band is the traditional one for the line and makes no reference to the year of release. 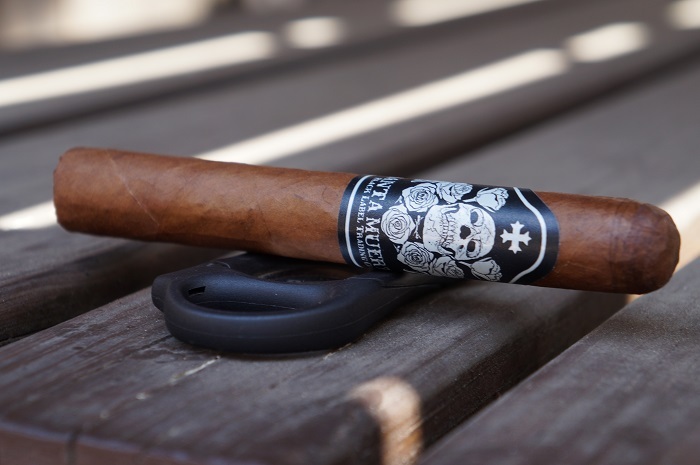 The aroma from the wrapper is a light wood while the foot brings a mild tobacco sweetness. 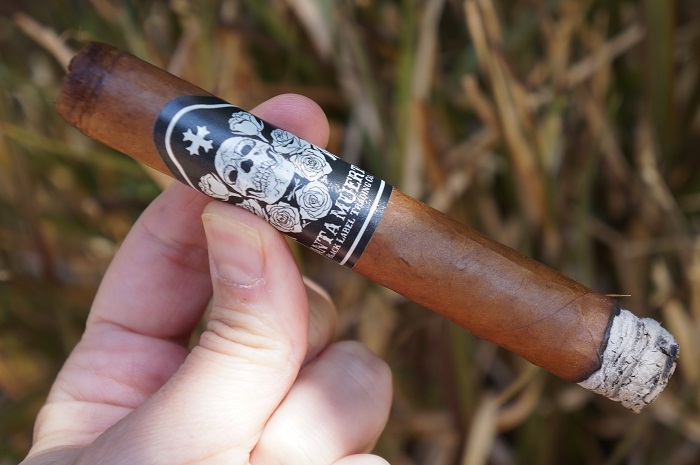 The pre-light draw brings a mix of wood and floral notes. 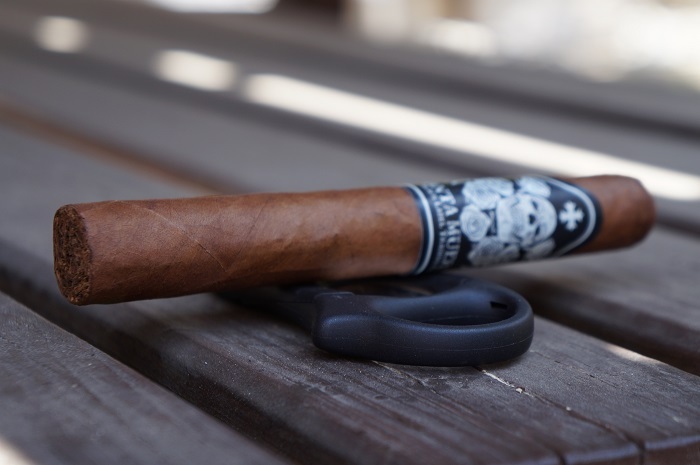 The cigar begins with a creamy mesquite wood note. At a half inch in, the profile remains the same and the retrohale carries a fuller version which is a bit too much to do it very frequently. At an inch in, the mesquite fades back quite a bit leaving more of a general wood note as the cream also increases. The retrohale has also become a bit smoother with the addition of more cream. As the third comes to a close, some of the mesquite comes back to the profile. The strength in this third was right at medium. The second third continues on with the mesquite wood and cream. At three quarters of an inch in, the mesquite drops back again as some char joins the wood to go along with the cream. At an inch in, the cream begins to subside and the profile becomes a bit drying. The retrohale carries the same profile as the mouth draws, just a bit more intense. As the third comes to a close, the cream picks back up to eliminate the dryness. The strength in this third remained at medium. As the final third begins, the char picks up some more and the cream is in the background. At a three quarters of an inch in, a toast note joins the char on the wood. The retrohale carries the toasted wood along with some cream. 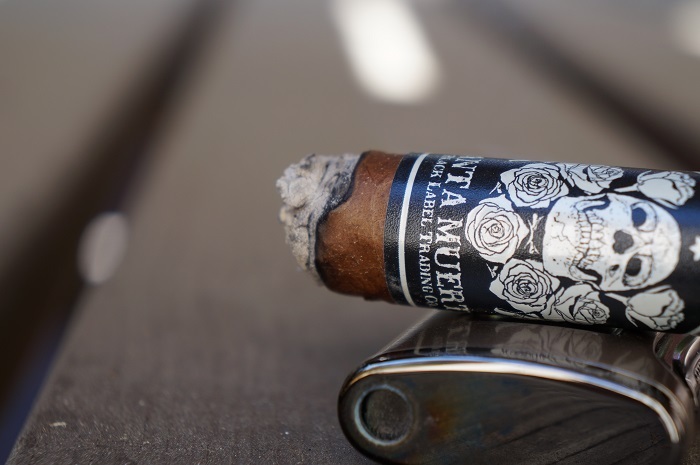 As the cigar comes to a close, the toast completely replaces the char as some mustiness joins the cream in the background. The strength in this third bumped up to slightly above medium. The burn was slightly wavy at times but straight most of the way. The ash held on in inch and a half increments. The draw was perfect with just the right amount of resistance that I prefer. 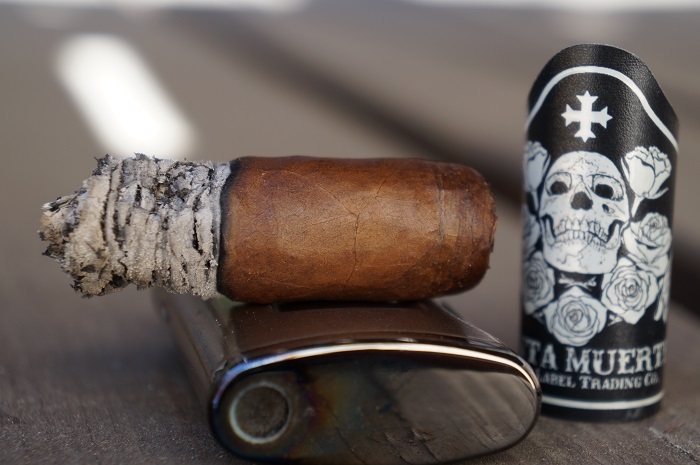 The flavor profile started with a unique mesquite wood component and then in the second third settled into a charred and toasted wood the rest of the way. Cream was also a core component from the second third on. Construction was great and required no attention. The profile was dark, but the strength was right around medium. 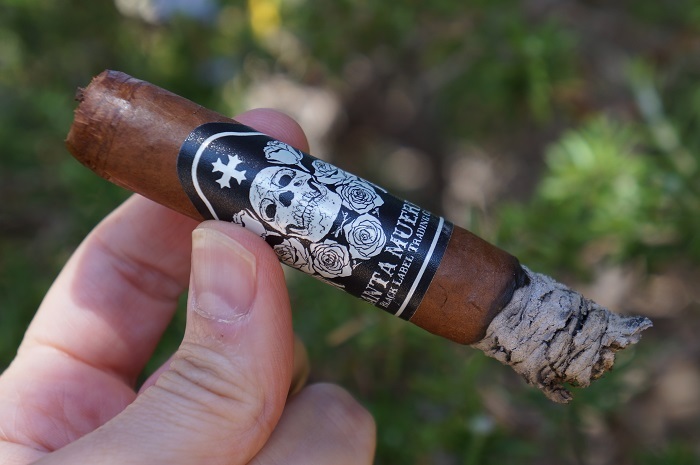 For those that are fans of what comes out of Fabrica Oveja Negra, they’ll find something they recognize and can enjoy in the Black Label Trading Company Santa Muerte 2017 Corona Gorda. For me, the profile was a bit too linear and I would prefer a bit more complexity as I found the profile to lose my attention as it got into the second half.